For the cricket ground in Dhaka, see Sher-e-Bangla Cricket Stadium. Tomb of A. K. Fazlul Huq at Dhaka. 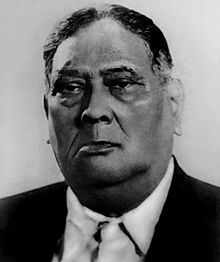 Fazlul Huq died on Friday 27 April 1962 at 10:20 am. He was 89 years and 6 months old. His body was kept at his home in 27 K. M. Das Lane, Tikatuli until 10:30 am on 28 April. It was on a customized ice-bed. Then his Salat al-Janazah prayer was held at the Paltan Moydan. His funeral drew a crowd of over half a million. All educational institutions of Pakistan were declared closed on 30 April to pay tribute to him. All important officials of Pakistan attended his Janazah. This page was last changed on 15 November 2018, at 04:51.